Our best stocks to invest in for 2015 are seeing a lot of big gainers – one up as high as 50.8% (see the chart below). But there's something particularly exciting about one – Avago Technologies Ltd. (Nasdaq: AVGO). It's up nearly 30% this year. This Singapore-based chipmaker supplies chips that help speed up processing in cloud data centers. Money Morning Defense and Tech Specialist Michael Robinson identified Avago on Dec. 30 as one of the best growth stocks to invest in today. In fact, many of today's best growth opportunities come from tech. "More than any other sector in the economy today, high tech offers us the best chance of finding quality growth firms that consistently beat the market," Robinson said. You see, cloud computing is expected to see strong growth in the coming years. Public IT cloud spending reached $56.6 billion in 2014, according to IDC. It is expected to grow to $127 billion by 2018. Gartner analysts have predicted exciting growth outside the U.S in public cloud services. Gartner expects 14.2% growth in 2015 in the Asia/Pacific and Japan region. They see 17.1% growth in the Middle East and North Africa. And Gartner also see 33% growth in India. Cloud computing plays an important role in the changing IT landscape. The costs of running a data center are changing IT spending behavior for new businesses and startups. They are opting for cost-effective rented on-demand IT cloud architecture. This is as opposed to buying thousands of low-end x86 servers, or purchasing expensive mainframes to build their own data center. "I think anybody who is starting a business today would probably want to do it starting with cloud services," University of Maryland Professor of Information Systems, Hank Lucas, told Money Morning. "You don't have to worry about managing technology itself. You have to worry about your applications, but that's only a small fraction of what a typical IT shop has to do." He added, "If you were an IT organization in a company you would have to worry about installing computers, running computers, fixing things, maintaining old software. There's a whole lot you have to do and you're not left with a whole lot of money to do applications. Well, if I'm a startup I'm interested primarily in those applications. The cloud is great for that." The cloud is the low-cost data center solution. It has much more room for growth then say, the mainframe business run by International Business Machines Corp. (NYSE: IBM). And while IBM and other giants struggle to break into the cloud computing market share, Avago is providing an important technology in the space with its chips. Avago's financials show that the company is really starting to grow its balance sheet as well. In the first quarter of 2015, it grew revenue 130.1% to $1.6 billion. And it's grown its margins. It sold off its flash businesses to Seagate Technology Plc. (Nasdaq: STX) last year. As well as this, Avago sold its and its networking business to Intel Corp. (Nasdaq: INTC). 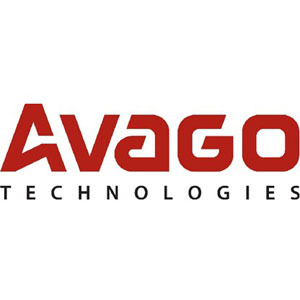 Avago earnings grew 162% to $351 million in Q1 2015. And Avago just yesterday announced a $0.03 increase to its dividend to $0.38 a share. That's 18 quarters in a row of dividend increases for the chipmaker. Avago is poised to grow and it's increasing its dividend. That makes Avago among the best tech stocks to buy right now.